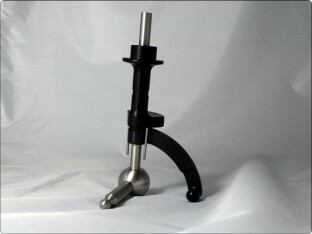 Cravenspeed Short Shifter kit for Fiat Abarth. This is perfect to shorten the shift lenght and make it more crisp. Of course, this is not the first invent of the idea of the short shifter. Cravenspeed is not even the first to make one for the new FIAT 500, but they are the best. Craven has been making high end shifting solutions for long enough to know that there is no sense in going half way. 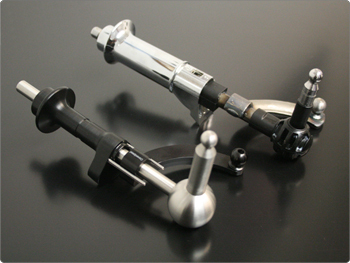 They designed this shifter out of far superior materials to the stock unit and any competitor; a stainless steel shaft and pivot handling all the force and machined aircraft aluminum in anodized black for the new reverse pull. Now you don't ever have to touch the seam on the plastic chrome reverse pull again. The install involves only work inside your FIAT and can be done by anyone with very little mechanical background. Most should be installed in less than 1 hour. You can view the complete install instructions below. This shifter works on the Abarth Model standard manual transmissions. It does NOT include the reverse lockout as seen in the picture.